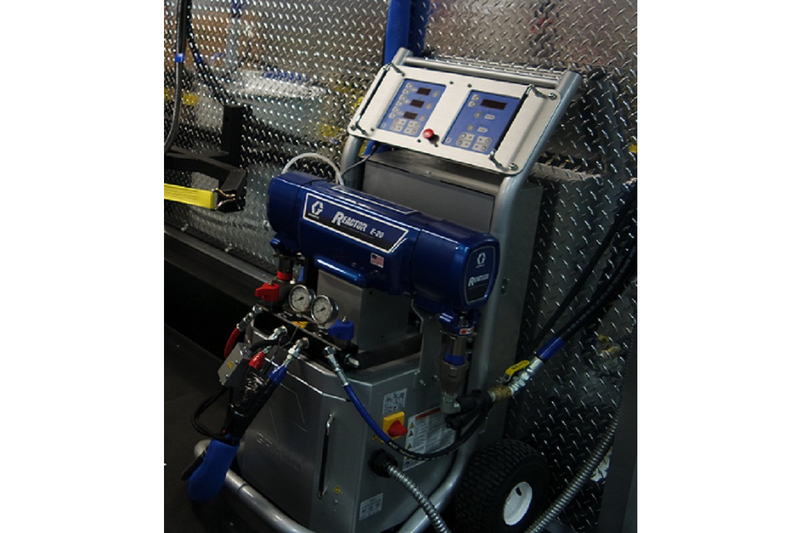 The Graco E-20 Spray Foam Machine utilizes state of the art technology to provide you with high quality spray foaming. 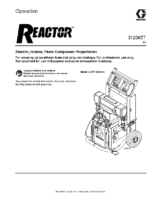 The electric motors inside this reactor provide superior efficiency and improved performance. Pressure relief valves offer quick and easy balancing of system pressures. 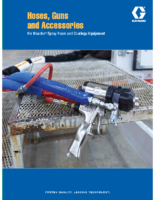 Easy-to-Service fluid sections reduce maintenance and increases productivity. High output heaters with maximum temperatures of up to 6 KW. 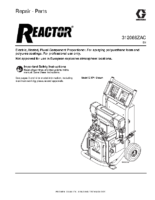 The Graco E-20 Spray Foam Machine is great for residential and smaller commercial Spray Foam Applications. If you are looking for a Machine that is capable of higher outputs or longer hose capabilities, take a look at the Graco E-30, H-30, or H-40 These Graco Spray Foam Reactors have capabilities of up to 410 feet of Hose and 45 Lbs. per Min. of Output. Max Output: 20 Lbs. Per Min. Circulation Valves redesigned for Isocyanate materials. Modular Heater Electronics increase performance and reliability. Quick Knock Down Fluid Sections. Sinusoidal motion smooth pump changeover found in traditional vertical pumping systems. System diagnostics with error codes. Automatic system shut down when user defined pressure imbalance is detected. 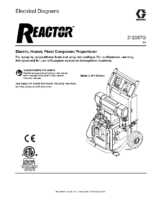 Electric motors provide superior efficiency and improved performance. Pressure relief valves offer quick and easy balancing of system pressures. 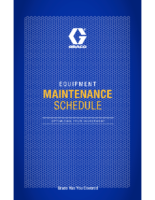 Easy-to-Service fluid sections reduce maintenance increase productivity. High output heaters with maximum temperatures of up to 15,300 watts. 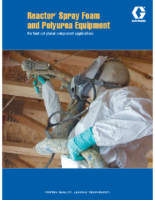 Data reporting verifies that the job was sprayed accurately. 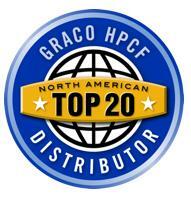 Digital heat and pressure controls accurately program temperatures and pressures. Balanced proportioning eliminates pressure fluctuations to give you a consistent spray pattern.